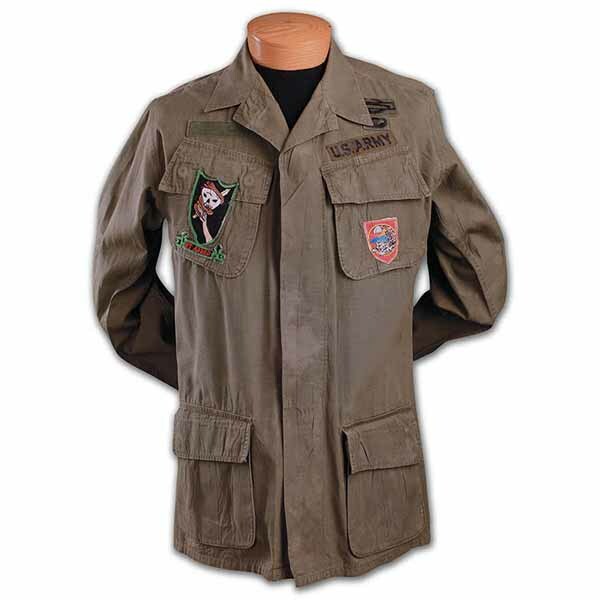 Badged US issued 3rd model jungle jacket and beret from the estate of William Card. 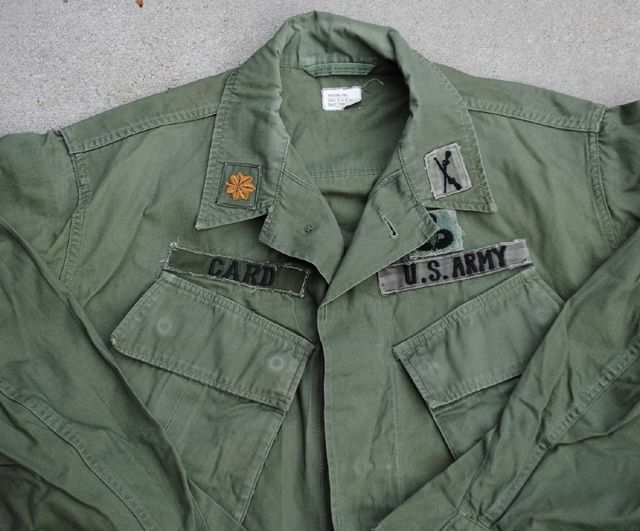 The garment is badged on the left chest with an Asian manufactured US Army and US Master Airborne wings, the right chest has a Asian made name tape that reads: Card and the collar has US Infantry Major rank. 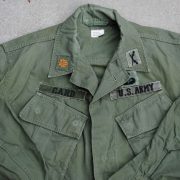 The uniform is labeled Medium Long and is 1967 dated. The pants are a nice match, labeled Large Long and are 1967 dated. 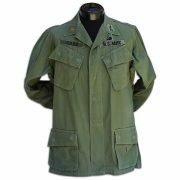 Major Card was the Project 404 Commander when he was killed on March 31, 1971 when he opened a booby trapped ammunition can that was left on the porch outside his billets.